Ken founded ICRI in 1981 to improve the lives of children and families internationally through technical assistance and consultation, resource dissemination, and the establishment of model projects. Ken received his child development training at the University of Uppsala in Sweden and his Master’s Degree from the University of California, Berkeley. He earned a Juris Doctor degree from John F. Kennedy University, where he studied juvenile justice and children’s rights. Ken is the author of numerous articles on international early childhood education, child advocacy, and work and family policy issues. Ken served as Chair and member of the California Governor’s Advisory Committee on Child Development for nine years. He was a founding member of the International Family Child Care Association and the World Forum on Early Care and Education, as well as the Vice-Chair of a statewide commission to formulate a strategic plan for child care development in California. Ken has assisted in the improvement or establishment of more than 300 early childhood care, child and family health, and child abuse prevention programs worldwide. He has been a consultant to the Children’s Defense Fund in Washington, D.C., and has advised the governments of Singapore, Hong Kong, Malaysia, China, Sweden and Ecuador on child and family issues. In addition, Ken has presented over 300 keynotes and seminars to policy makers, executives, and non-profit professionals worldwide. Ellie is ICRI's Chief Operations Officer and Executive Director, and oversees day-to-day operations of our local and international programs. Ellie has been a Director of ICRI child development centers since 1993 and oversees seven ICRI child care centers with a combined enrollment of nearly 500 preschool children. She is an expert on child care facilities design, budget development, and licensing. Ellie also serves as a Senior Consultant for ICRI, and has advised numerous organizations on child care design and development projects, including LucasFilm, Ltd., Amgen, the California State Assembly, Senate and Secretary of State, and The Children’s PreSchool Center of Palo Alto. toddlers, children and teenagers. Marie has been a dedicated philanthropist for many years and is excited to bond her passions for children’s education andinternational relations in her work at ICRI. Karuna is passionately dedicated to philanthropic work. As the Development Coordinator and Senior Researcher at ICRI’s headquarters, she offers support to ICRI’s leadership through fund development, writing, and research. Having received her B.A. in Public Policy with a concentration in international development, sustainability and social justice from Mills College, her background includes fund and program development, nonprofit administration, and working with infants, toddlers, and youth in a variety of educational, health and care settings. Karuna is very excited to be a part of the ICRI family and working to serve children; their families and communities all over the world. ICRI is pleased to announce that Brittany Koch has joined our team as the Human Resources Manager in our Berkeley office. Brittany is a lawyer who practiced employment law for over 8 years in her prior position at a regional law firm and as staff attorney for a Circuit Court Judge. Throughout the course of her career, she has specialized in providing tailored legal advice, guidance on best practices, and trainings to hundreds of clients, including Human Resources departments in a variety of industries, and she has served as legal counsel to various non-profit organizations. Originally from Kentucky, Brittany is dedicated to supporting programs benefiting children and the empowerment of women and girls. She has served on the Board of Directors for Court Appointed Special Advocates (CASA), Board of Directors for the Nutrition and Fitness Coalition (providing healthy food to children in poverty-stricken areas), and as a volunteer for the Pro Bono Domestic Violence Victim Program (providing free court representation to victims of domestic violence). Brittany received her B.A. from Centre College, and her Juris Doctor degree from University of Kentucky College of Law. Bruno is the Finance Director of ICRI. As Finance Director of an international organization with more than 200 employees, Bruno oversees the financial operations and structure of our local and international programs. Bruno received a graduate degree in Finance and a bachelor’s degree in Business Administration from San Jose State University. Bruno has extensive experience on financial and program reporting at Federal and State level. He also serves as a fiscal consultant on numerous consultation projects. Susan is the Co-Director of Project Commotion, leading classes in movement and sensory integration. Susan has nine years of experience in movement programs at recreational after-school programs, as well as in the San Francisco Unified School District. Susan is also a faculty member in the Child Development and Family Studies Department at City College of San Francisco. She holds a BS in Communications from the University of Michigan, a Certificate of Completion in Child Development/General from the City College of San Francisco, and both a Safety Certification and a KAT (Kinder Accreditation for Teachers) Certification from USA Gymnastics. Maria has worked for over a decade with ICRI’s Family Daycare Support Network, which provides nutrition education and financial support to family daycare providers serving low income children in Alameda County. Maria has held a variety of positions at FDSN and currently serves as Program Director. In addition to conducting home visits to educate family daycare providers, Maria manages the administration of FDSN and communications with FDSN’s funder, the California State Department of Education. As Center Director of Hearts Leap North and Senior Consultant for the ICRI team , Gretchen has contributed extensively to local and international early childhood education and care. She earned a Masters Degree in Early Childhood Education from Mills College, where she studied how teachers can facilitate insightful questions from students. Gretchen works with the teaching staff at ICRI's seven Bay Area programs to support their implementation of inquiry-based, Reggio-inspired, Emergent and Anti-Bias Curriculum. She believes each child deserves an opportunity to find their voice and see their ideas come to light in a warm and loving school environment. Gretchen is still close with her best friend from preschool who lives across the country; she believes her positive school experience at a young age is in part responsible for her success as a leader in early childhood education field today. Natalie has called Lakeview Preschool home since 2014 when she started as a teacher. In 2015, she moved out of the classroom and took on the role of Director. However, she believes that nothing can keep her away from the joys of teaching and you’ll find her in the classroom daily. Before coming to Lakeview Preschool, Natalie worked at Children’s Day School in San Francisco, as a nanny for many years, and she managed the office of a small nonprofit. She looks forward to continuing to work with and learn from the great families and fellow teachers at Lakeview Preschool. Growing up in Oregon instilled a love of nature in Natalie, and in her free time she hikes in Tilden Park, makes art projects with her niece and nephew, bakes breads and treats for family and friends, and explores restaurants with her husband. Victoria has worked with preschool aged students since she was 13-years-old and hasn't stopped since. She has worked in both private and public settings. After getting her Bachelor's in Psychology at Princeton University, Victoria worked for two years in the office of a Head Start preschool in East Harlem. There she discovered her added passion for working with teachers and families, and gathered invaluable experience working with children with diverse needs. Victoria spent another two years as the Enrichment Specialist of the school focusing on early literacy and art. In 2017, Victoria completed her Master’s at Teachers College, Columbia University in International Education Development with an emphasis on Curriculum and Teaching early childhood education. She is extremely grateful to have joined Hearts Leap School as Site Director in the summer of 2018. Shelley Gonzales is passionate about teaching children in and about nature, and inspiring children to be passionate about the process of learning. She believes teaching children through the scientific method helps them to become critical thinkers. She has directed a laboratory school, Rainbow School at Stanford, a parent cooperative preschool, supervised Head Start and State Preschool programs and was the initiating director of a bilingual preschool. The programs all emphasized learning through emergent curriculum. She has taught early childhood education in community colleges at the undergraduate level and master’s level courses at Pacific Oaks College. She earned a bachelor’s degree in early childhood education, and Master’s degree in Leadership of Early Childhood Programs from Mills College in Oakland. Her interests include working with families from diverse cultures, working with dual language learners, and nurturing pre-service teachers in curriculum development and outdoor classroom environmental education. Sally is an Executive Director at ICRI's Stanford University programs and is also a Program Director at Stanford Madera Grove Children's Center. From 2004-2017 Sally worked in New York City as a preschool special education teacher, early childhood consultant, and preschool educational director. 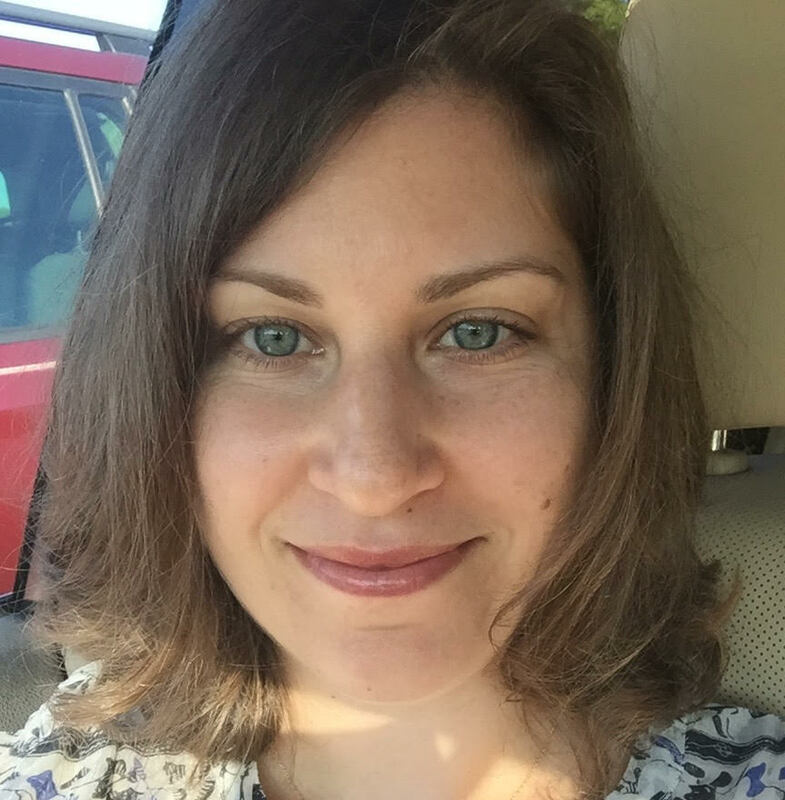 She has a dual Master's Degree in Early Childhood Education and Special Education through New York University and a Master's Degree in Education Leadership through Adelphi University. Sally is most passionate about encouraging creativity and developing self esteem in young children. Emergent curriculum and children's individual needs and learning styles are at the forefront in Sally's mind as she works with children, teachers and families. In addition to early childhood education, Sally is a certified yoga teacher and dedicated to environmental education, stemming from her work as a Peace Corps volunteer in rural Jamaica. Nell Wollner has a B.A. in Government from Smith College and a M.Ed. in International Education Policy from Harvard University. She first became passionate about education while volunteering for AmeriCorps in Redwood City, California in 2005. In 2008, she became a California credentialed teacher, and taught elementary school both in San Francisco and Faleasoa, American Samoa. The time spent in the Pacific globalized her education perspective, as did over a year spent as the WorldTeach Field Director in Nakhon Phanom, Thailand. Following her stint in Nakhon Phanom, she enrolled in graduate school. While at Harvard, she both continued to work for WorldTeach, supporting the Asia programs and editing curricula, and interned for the UNESCO Bangkok Education Policy and Reform Unit, researching and writing education sector country profiles for their website. After completing her Master’s degree, Nell returned to the Bay Area, fell in love and started a family. She balanced motherhood with work at the Chinese American International School’s (CAIS), a bilingual, bi-cultural school in San Francisco for a few years before deciding to be a full-time parent for a while. She is delighted to have rejoined the workforce and be supporting the inspirational work of the International Child Resource Center. An internationally renowned Educationist & Counselor, Dr Murthy, has had nearly four decades of experience in Academics, Research and Administration heading prestigious institutions in Mumbai, India. Actively lobbying for ‘better educational system for young children’, she has had the privilege of contributing in various State and Central government policy making committees for Educational reforms in the country since the nineties. Her passion for good quality Teacher Education resulted in the conception of several innovative programs which have been ground- breaking in evolving meaningful training of teachers at various levels. Among the many awards & recognitions, the three that need mention are the "NATIONAL AWARD" in 1993 for "Innovations in Teacher Education", the ‘Global Leader for Young Children’ (GLYC) fellowship by World Forum of Early Education in 2005 & the ‘Samaj Shakti Honour’ (meaning one who strengthens the society) Award. She has traveled widely all over the globe visiting and interacting with various universities & conducted sessions/presented papers in several Regional, National, International Conferences and Seminars. A sensitive writer she has covered a spectrum of issues ranging from education, women, counseling, children, self-development to love & relationships which have been published in professional journals, magazines, Dailies , Monthlies & women’s’ magazines . She has also authored books on 'Readiness for Math’ published by renowned 'Macmillan publishers& co-authored on Questions & Answers about children for the World Forum of Early Education. Besides these she has created scores of booklets, leaflets, Hand-outs for various NGO’s & government agencies. She is fervent about advancement of women & is the founder president of ‘Stree Chetna’ an organization committed to the empowerment of women since 1983. Her passion to make a difference in the lives of children brought her to ICRI and since 2007 has been the Country Director India till recently. She is currently the Senior Consultant and is excited with the new organizations that ICRI India is coordinating with in India. During her leisure time she engages in Music, Dance, Cultural activities besides traveling to various places and spending time outdoors in nature. Ann has been part of the ICRI team since 2006, first as a volunteer receptionist, then she took up role of a lead teacher at Zawadi Child Resource Centre (Karen) overseeing all activities at the centre and she later worked as Finance and Program Officer. She holds a Diploma in Community Development and Social Work. Prior to joining ICRI-Africa on a full time basis, Ann took a double role in handling responsibilities for both ICRI-Africa and Akili Dada - an International Nonprofit Organization working to ensure that the next generation of Kenya’s leaders includes women from diverse economic background. In Akili Dada, Ann was responsible for the day to day operations of the organization including liaising with schools, the scholars, coordinating community service and all administrative work. Dhirendra is the Country Director of ICRI Nepal and oversees ICRI’s work on numerous programs to support children and families in Nepal. Dhirendra has over 15 years of experience working in community development, education, and HIV/AIDS prevention and intervention. Dhirendra received funding from the United Nations Development Program to work with the Network for Children, Prisoners, and Dependents to provide holistic HIV prevention and support services to Nepali prisoners and their families. He also served as a key participant in the formulation of the National Plan of Action for Children through Nepal’s Ministry for Women, Children, and Social Welfare. Dhirendra has presented seminars and working papers on children’s issues, HIV/AIDS, and community development at international conferences and forums in Australia, Hungary, Northern Ireland, India, the United States, Malaysia, Thailand, and New Zealand. In 2007, Dhirendra received the Global Leader for Young Children award from the World Forum Foundation. Ebenezer holds B.Sc. (Hons.) Degree in Tourism from the University of Cape Coast, Ghana and an Executive Mastery Certificate in Child Development and Early Childhood Education from Carayol College. He is an expert in ICT marketing, corporate project planning and management. Ebenezer has developed considerable skill, knowledge, and experience in early childhood education. In his child education centers, Ebenezer allows the children to lead the curriculum, while nurturing, supporting, and guiding them. Ebenezer believes that children are the creators and that teachers should give the children the materials, tools, and opportunities to create. He uses locally found and natural materials in ICRI Ghana's centers. Ebenezer has facilitated several training programs on Early Childhood Education and has led a team of experts, consultants, and academicians to collaborate with The University of Education Winneba to establish an Early Childhood Education Graduate Studies program and to construct and equip the University with a Child Care and Resource Centre. Lloyd Muwoni joined ICRI Zimbabwe in March 2017. He brings 10 years of experience working with orphans and vulnerable children and early childhood and development programming and management. He has vast experience in fund development, policy formulation and implementation, and monitoring and evaluation. He has facilitated several child protection and early childhood education trainings. With a family and young son himself, Lloyd is committed to ensuring that every child, regardless of circumstances at birth, is provided with the best opportunities to reach their full potential and succeed in life. He is an active member of the Zimbabwe Network of Early Childhood Development Actors (ZINECDA), a network of professional and organizations concerned with early childhood development and education in Zimbabwe, where he serves as the deputy chairperson for the Harare chapter.